Back in early May, the Google ATAP team teased that they would show off new wearables that would quite literally “knock our socks off” at Google I/O. 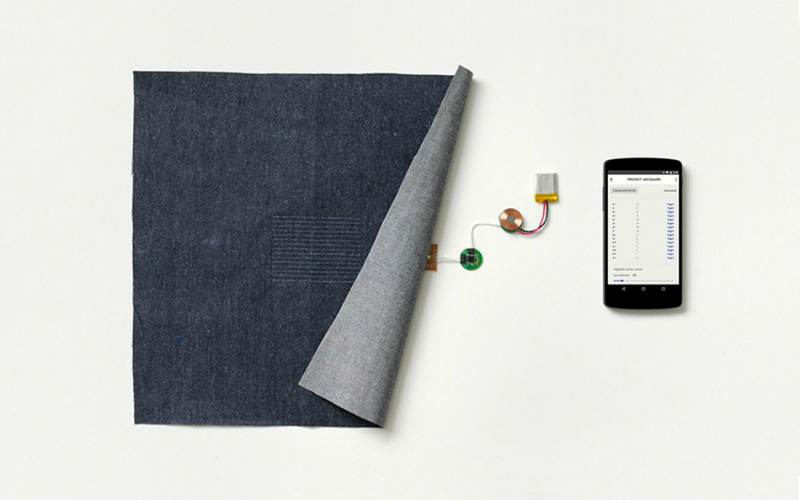 Today, we have that announcement, and it’s conductive yarn in the form of Project Jacquard. By weaving in conductive strands of yarn into basically any textile, the ATAP team is able to turn a specific part of your pants or jacket into a touch interface, which leads to end-users controlling functions of a device by tapping or sliding a finger on their clothing. ATAP’s idea is that Jacquard will be a blank canvas for clothing designers and developers to work with, allowing them to fit the technology to whatever use they would like. As purely an example, just an idea that I thought of myself, if your phone is in your pocket that is connected to a pair of Bluetooth headphones, and you want to adjust the volume, you could do a quick slide of a finger on your jacket either up or down to control the volume. That could be cool, right? Jacquard is in a very early state, so right now, what we can do with it is still unknown. It will be up to developers and designers to decide how they want to incorporate clothing with sensors inside. Watch the below intro video to see just how Project Jacquard could soon come to clothes or furniture near you.